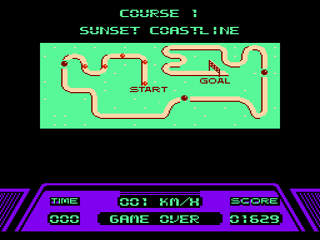 Race around a course, and make it to check points before the timer runs out. If a player hits a road sign or tree at any speed the car crashes. Hitting another car severely slows the car down, but does not cause a crash. Crashes take time and make it more difficult for the player to reach the check point. There are eight different levels of increasing skill. 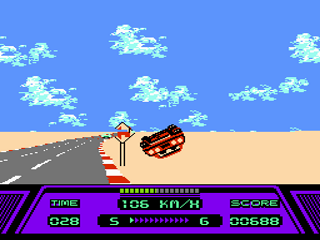 Even if time runs out, the vehicle can continue to coast for a while; if the vehicle reaches a checkpoint before running out of momentum, the game continues. 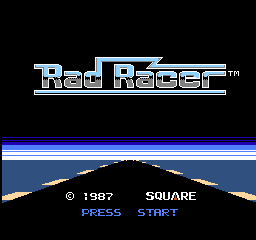 Rad Racer came packaged with 3D glasses, which could be worn to give the player the illusion of three dimensions (Square had previously incorporated the usage of 3D glasses in 3-D WorldRunner). You can activate the 3D mode during play by pressing the "Select" button. 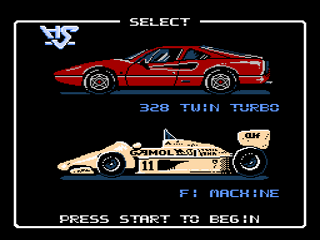 At the car selection screen, the player can pick one of two cars: a Ferrari 328 or an F1 racing machine, similar in appearance to the 1987 Camel-sponsored Honda/Lotus 99T Formula One car. Although officially there is supposedly no performance gain by choosing the F1 racing machine over the Ferrari 328, this is debated by race fans. Debate aside, a frame by frame comparison of the cars shows definitively that they are identical, at regular and turbo velocities. 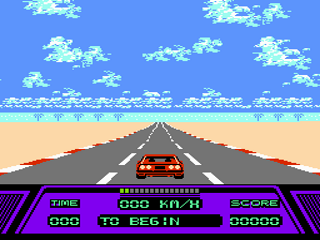 The player cannot clear the course faster. 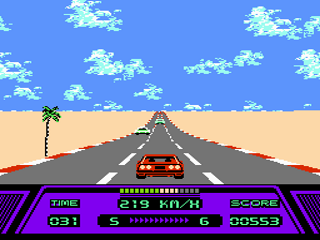 The maximum speed is still 255 km/h (255 is the highest integer representable within 8 bits). 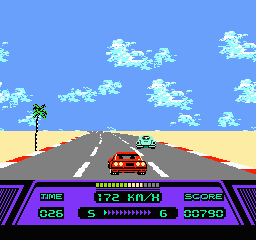 Rad Racer, released in 1988, was Nintendo and Square's anwser to SEGA's Outrun. The game features several qualities that make it a classic. 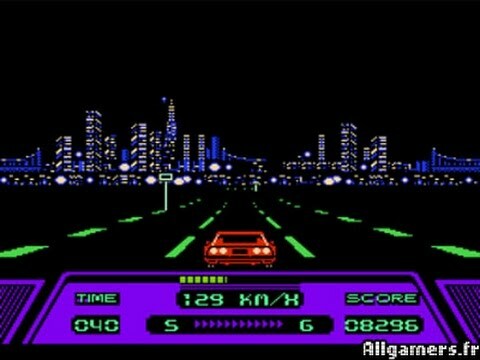 First, since it's Square, they put alot of time on the visuals, although the graphics are very pixelated and simple, the left and right movement is very smooth, and you can see this when you crash and the screen brings you back to the center. The turbo feature is not only cool, but nis key to finish any level. The game stays fresh by changing the atmosphere in every level. you can choose the background music by pressing the down arrow, and you can play in 3D with red and blue glasses by pressing select. All in all, a fine game. 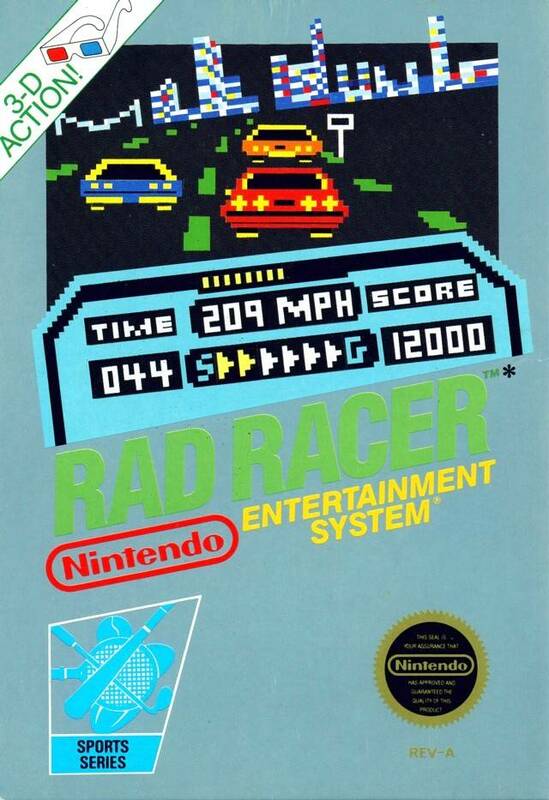 Rad Racer is a racing game for the NES. Although you don't race against other opponents, you race against the clock. You can select a sports car or a F1-car. There is no difference between them, besides design. You must race down a long track and hit check-points to keep the clock from running. Once you get to the end of a track, you can go on to the next track. 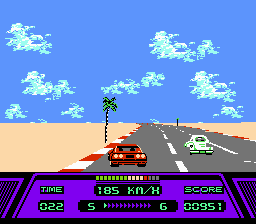 Rad Racer is a decent racing game. Now you can add videos, screenshots, or other images (cover scans, disc scans, etc.) 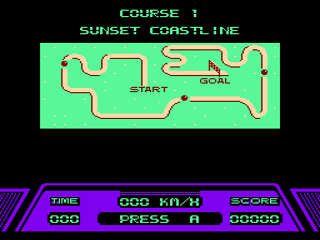 for Rad Racer (USA) to Emuparadise. Do it now!